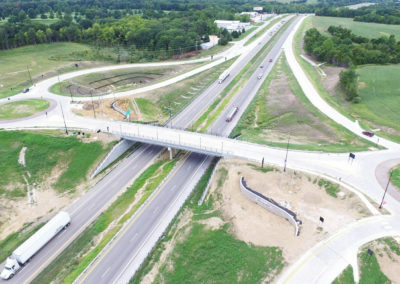 The new Interstate 70 interchange is a critical component of the New Mississippi River Bridge (MRB or the “Stan Span”) project and creates a new gateway between Illinois and Missouri providing more efficient connections to, and through, St. Louis. The new interchange provides a gateway into the downtown area opening up opportunities for economic revitalization. Crawford, Murphy & Tilly (CMT) was the lead firm on the design of the $31 million project. 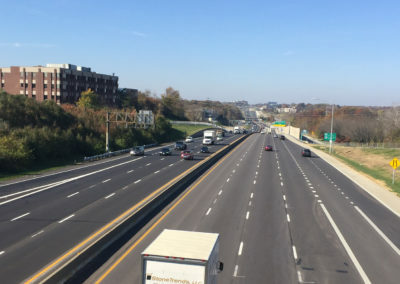 The Missouri Department of Transportation (MoDOT) had high expectations for this project, requiring a cost-efficient design that would improve safety and meet the needs of the region. 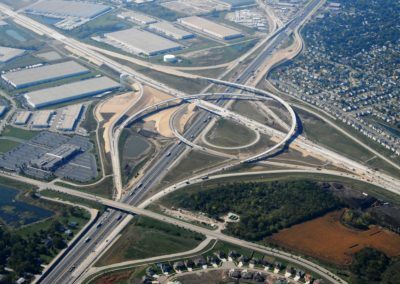 CMT met and exceeded MoDOT’s goals by utilizing innovative methods to reduce construction costs, while still maintaining the project’s intent. A one-day Practical Design Workshop was attended by 20 experts from various civil engineering fields, who helped identify over 80 ideas, resulting in significant highway and bridge cost savings (28% or nearly $13 million). The award winning and high-profile project involved extensive stakeholder and agency coordination on both sides of the Mississippi River, including a successful Federal Highway Administration (FHWA) and Illinois Department of Transportation (IDOT) plan that rerouted Interstates 70 and 44. A consolidated, local project office (with the client and other project design partners) enabled CMT to successfully complete an aggressive design schedule (10 months faster than a typical one). With a focus on diversity, the project included a mentor-protege’ strategy resulting in meaningful participation by minority and other disadvantaged firms. 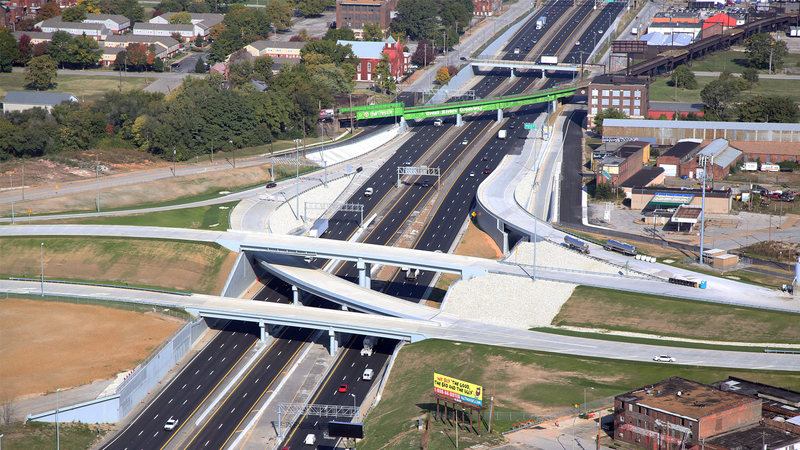 This success contributed to CMT being named the 2013 Consultant of the Year by MoDOT’s Diversity Division. The CMT St. Louis staff produced quality work at a very reasonable cost in a very timely manner. Their responsiveness was impeccable. It was clear that their client’s satisfaction was their driving factor. My 30 years of experience in this business has led me to believe that this is a testament to the leadership of the organization. Thank you for a job well done. Three top awards as part of overall "I-70 Mississippi River Bridge and Corridor" where CMT and three other consultants (HNTB, AECOM, US Services) submitted jointly.